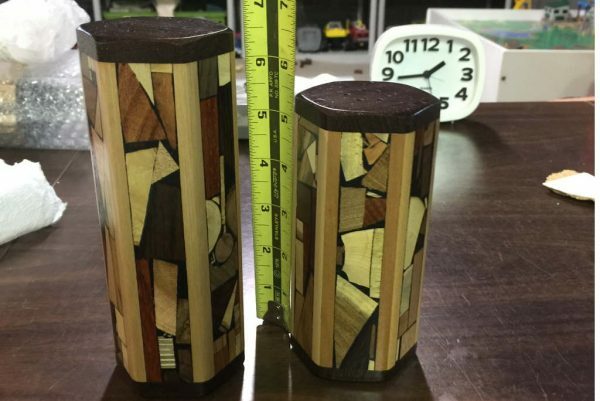 This Designer Hex Mosaic Wood Salt Shaker boasts 6 full panels of Etz-Ron’s signature multi wood mosaics that have been hand inlaid into the wood. The mosaics are made with over 30 different kinds of wood from the world over with no stains or dyes. The colors you see are the real colors of the woods.